At least 137 people were killed and hundreds more were injured in near-simultaneous attacks on several churches and hotels in Sri Lanka on Easter Sunday, officials said. The blasts hit three high-end hotels and one church in the capital, Colombo, while two additional churches were targeted elsewhere in the country during Easter services, Sri Lankan police said. “I call upon all Sri Lankans during this tragic time to remain united and strong,” he wrote in a tweet. Local security officials said at least two of the attacks appeared to have been carried out by suicide bombers. The sites were all heavily frequented by tourists, and at least nine foreign nationals were killed in the explosions. There was no immediate claim of responsibility for the apparent coordinated attack. Sri Lanka’s police chief made a nationwide alert 10 days before Sunday’s bomb attacks in the country that suicide bombers planned to target “prominent churches”. “A foreign intelligence agency has reported that the NTJ [National Thowheeth Jama’ath] is planning to carry out suicide attacks targeting prominent churches as well as the Indian high commission in Colombo,” said the alert, which was sent by police chief Pujuth Jayasundara to top officers. 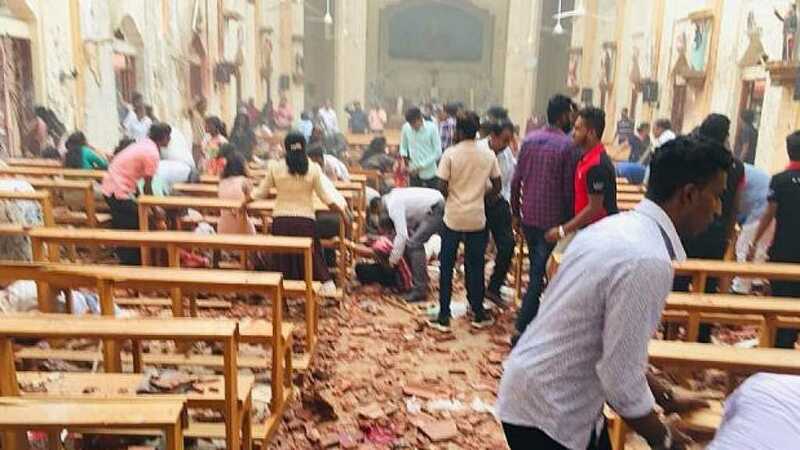 According to hospital officials, at least 40 people were killed in the Colombo attacks; at least 62 were killed in Negombo, north of the capital; and at least 27 were killed in Batticalao, on the country’s eastern coast. The island nation of Sri Lanka, just off the coast from India, endured a brutal and bloody civil war from 1983 to 2009, when the government declared victory over the Liberation Tigers of Tamil Eelam insurgent group, also known as the Tamil Tigers. And this is where we get a little confused… because while Europe lists Iran as a state sponsor of terror, it is also, reportedly, at an “advanced stage” of completion of its special purpose vehicle to help European companies bypass U.S. sanctions on Iran. Syria’s permanent representative to the UN, Dr. Bashar al-Jaafari said Thursday that Syria is open to any initiatives that help it come out of the crisis, affirming that the constitution is an absolute Syrian sovereign issue. Al-Jaafari, speaking at a UNSC session on the state in the Middle East, added that Syria is ready to actively participate in any genuine effort to reach a political solution through which the Syrians alone decide their future without any foreign intervention. He affirmed that the international community has to help Syria end the terrorist war and eliminate the remnants of the terrorist organizations, adding that Syria is writing the last chapter of its fight against terrorism. Al-Jaafari went on to say that the success of any political track in Syria requires work with the Syrian state and pre-cooperation with it, saying that it also requires an international commitment to overcome the remnants of terrorists and end the illegitimate presence of foreign troops on the Syrian territories. The Syrian diplomat affirmed that Syria hopes the current committee on discussing the constitution, emerging from the Syrian-Syrian national dialogue congress in Sochi, would be formed as soon as possible. Al-Jaafari said Syria welcomes the role of the UN special envoy as a facilitator to the works of the Committee, and its assertion-at the same time-that no one can appoint himself as a third side in this process. He said that western states claim their commitment to Syria sovereignty, independence and territorial integrity while they launch aggression on it and attack parts of its territories, as well as they still support terrorists. Al-Jaafari affirmed that the constitution and any related issue is a sovereign affair which is decided by the Syrians without any external intervention, adding it is not permissible to impose any preconditions or conclusions regarding the task of the committee on discussing the constitution. “Syria is determined to achieve the political solution through a Syria-Syrian dialogue, led by Syria, without any foreign intervention.. and combating terrorism should have the priority in all phases and developments of the political process,” al-Jaafari said. He added that all the honest Syrians are called to take part in the political process, based on national bases in order to go ahead in reconstructing what has been sabotaged by terrorism. The right of nations to file lawsuits against parties–including other nations–supporting terrorism, and the setting up of an international court to hear such suits, are among the recommendations of an international conference held recently in Damascus. The International Conference Combating on Terrorism and Religious Extremism, sponsored by the Syrian Ministry of Justice, was held November 29–December 1, 2014, in Damascus, drawing hundreds of participants from 25 nations around the world. The formal recommendations are part of an official communique drawn up by a 19-member Conference committee and made public over the weekend. Also called for is an “international public forum” that would be headquartered in Damascus and out of which would emerge “a public court with international standing” that would hear terrorism cases. One of the members of the 19-member panel that drew up the communique is Gordon Duff, of the USA, a senior editor at Veterans Today. The nearly four-year-old conflict in Syria has taken a horrendous toll upon the nation, particularly among children, 11 of whom died in a mortar barrage upon a school in a Damascus suburb on November 5–less than four weeks before the conference was held. It was the second direct attack upon a school in either Damascus or its immediate vicinity in the year 2014. “Murdering children is very much a signature of false flag terrorism,” Duff said in an interview with Richie Allen conducted only a short time after the conference concluded. Another conference attendee was the prominent Lebanese journalist and political figure Wiam Wahhab, founder of the Arab Tawhid Party, who praised the Syrian Army’s response to the militants as well as actions taken by Lebanese Army Commander Jean Kahwaji. Wahhab was also instrumental in arranging transportation from Beirut to Damascus for European and American delegations attending the conference. Other conference participants were Dr. Bassam Habib Barakat, of Syria; Mateusz Piskorski, of the European Center of Geopolitical Analysis, of Poland; Dr. Amal Wahdan, a political activist from Occupied Palestine who has outspokenly criticized Saudia Arabia for providing support to militants in Syria; along with political affairs analyst Jim Dean and talk show host Mike Harris, both of the USA. Confirming the right of nations to resist terrorism and occupation, and the invalidation of foreign intervention in the internal affairs of states. 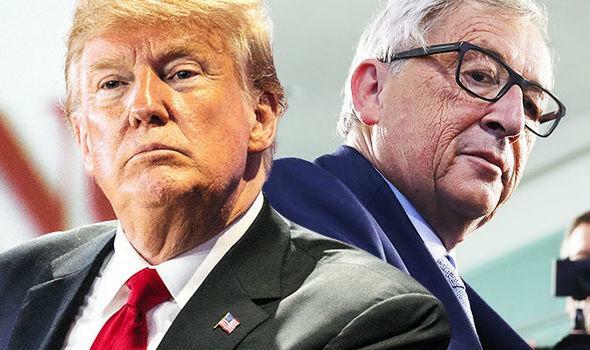 Considering the unilateral economic sanctions—imposed by US, the EU, or any other states—against Syria as illegitimate and a violation of international law and the Universal Declaration of Human Rights. Work to eliminate such sanctions at once, while giving Syria the right to claim compensation for material and immaterial losses. Trying to revive UN General Assembly resolution number 3379, which considers the Zionist Movement a racial movement, and affirming racialism as a cause of terrorism. 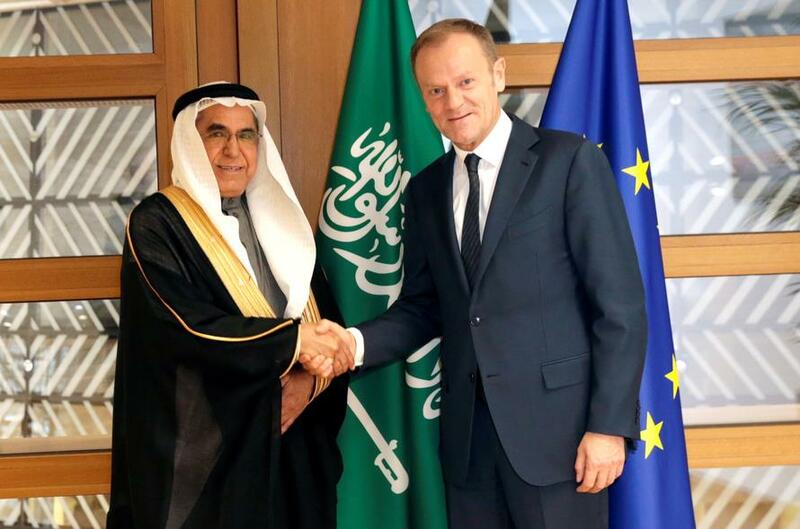 The conference members shall also ask the UN to regard the Wahhabist movement, along with any other relevant trends, as terroristic in nature. Considering sieges imposed on states for political reasons, particularly those instituted against Syria and the Gaza Strip, to be a type of terrorism. To view the entire text, click here.